That was Channel 4's own description of the reaction to its programme, "The Great Global Warming Swindle," which has been subject to an Ofcom investigation, the results of which are published today. The "warmist" Beeb is trying to spin it as a big deal, but the fact is that nothing in the programme "materially misled so as to cause harm or offence". That was despite 265 complaints having been received by Ofcom, including one 176-page document alleging 137 breaches of the Broadcasting Code. The Broadcasting Code, we are told, requires Channel 4 to show "due impartiality" on "matters of major political and industrial controversy and major matters relating to current public policy". The substance of the Ofcom finding was that the last segment of the programme, dealing with the politics of climate change, broke this obligation, It did not reflect a range of views, as required under the code. But the main portion of the film, on climate science, did not breach these rules. Ofcom's logic, says the Beeb, is that "the link between human activity and global warming... became settled before March 2007". This being so, it says, climate science was not "controversial" at the time of broadcast, so Channel 4 did not break regulations by broadcasting something that challenged the link. Andrew Bolt, however, has a slightly different take on the issue. The Guardian, predicably, gives house room to an opposing view (no impartiality or "balance" there). David Hughes of The Daily Telegraph notes that the climate change lobby tends to react like scalded cats should anyone have the temerity to question their assertion that global warming is a man-made phenomenon. So certain are they of the righteousness of their case that it has taken on the aura of a religious faith - and heresy will simply not be tolerated. But, he observes, the programme was actually polemical and since when are polemics supposed to be impartial? 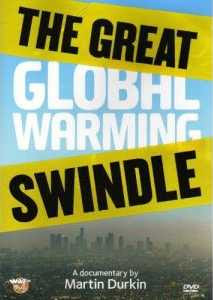 He, like us, does not recall Al Gore's "An Inconvenient Truth" being impartial, or giving a voice to a range of views. But then, it has not yet been broadcast on British television. When or if it is, we shall have some fun. So human rights do not matter? Do these people actually read anything? It's all down to those "modalities"
No sooner on than off? What will be Zimbabwe's future? Another beef and dairy ban? Shouldn't Brown and Cameron do "foreign"?